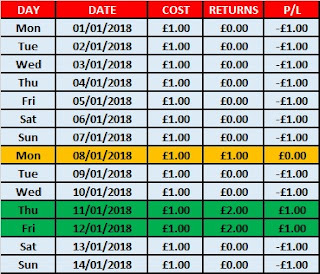 I have just completed the second week of a challenge I have set myself for 2018 where I aim to rub off a National Lottery scratch card every day during the year. When I last checked in, I had thrown away seven losing cards. This week's results were slightly better. I broke even on money with a £1.00 card. I followed this up on Thursday and Friday with £2.00 winners under both cards. 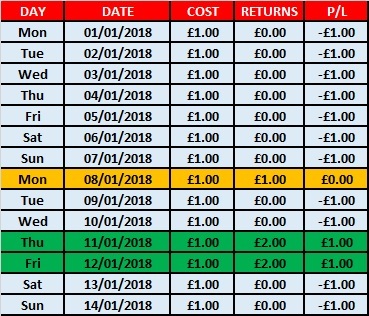 Overall, I'm £9.00 in the red. I wrote at the start of the year that - at worst - I'll be £365 down at the end of this experiment. Thankfully, it isn't going to be THAT bad now.